What sets Sawariya on an altogether different platform than others in the field is their persistent quest to provide just the very best. With an illustrious track record the forerunners of the company have forever made a forward march to create a hallmark in providing "refreshing beverages". 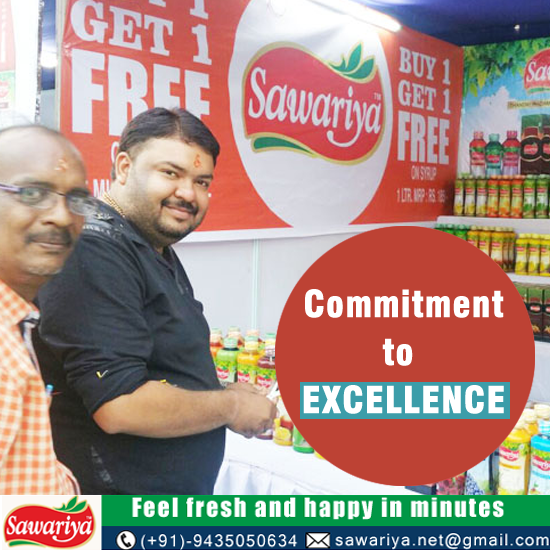 With diligent efforts, skill and proper execution, the company aims to provide its customers with something which rejuvenates not only the taste bud but offers a complete refreshment. Traditional Indian taste, original flavours and a commitment to stick to the "Quality Quotient" has always kept the company ahead of others in the field.